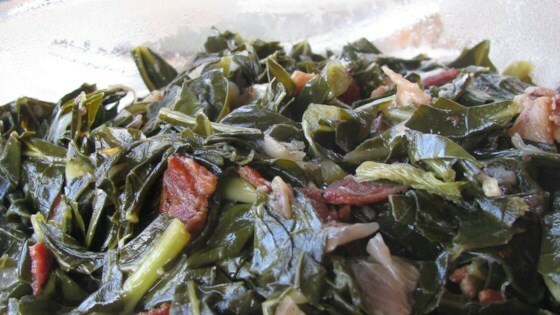 "If you like greens you will love this recipe. The bacon and onions give them a wonderful flavor. Add more red pepper for a little more spice."